To the curious beer drinker, the pedantic speak of beer nerds makes something as accessible as good craft beer seem off-putting. The truth is this, we craft beer enthusiasts are all full of crap. It's a FACT. For example, while I really enjoyed Saint Arnold Oktoberfest in years past, my opinion of the 2010 vintage... not so great. Fact? However at the 2010 Great American Beer Festival, this same beer won a Silver Medal. Fact! What does that say about my opinion? It's crap! This recent reminder of my uselessness to the cause has inspired me to attempt a personal renaissance as a genuine beer advocate. I will commit to providing weekly beer reviews written honestly, expertly, and with integrity. That last sentence was total crap, but what I will do in this post is attempt to dish out some beer information to our avid and very knowledge thirsty readers (fact). Good beer is made from only four ingredients: Malted grain (usually barley), hops, water, and yeast. Except that's crap. Most beers have way more than four ingredients. You can use all kinds of grains (malted and unmalted), sugars (e.g. candy, honey, molasses, fruit), spices, herbs, etc. in your beer. Limitations exist (fact), just like baking a loaf of bread, but most reasonable experiments produce a beverage that is very drinkable. Fact. Speaking of beer ingredients, don't even get me started on American lagers and all the rice (cheap, cheap) they use in the brewing process. This is a fact... a crappy fact. Budweiser does actually "beechwood" age their beer, but the wood is not for flavor. FACT. The beechwood chips are added during fermentation to give the yeast something to cling to, which basically maximizes the contact area of the yeast and beer. This speeds fermentation, which saves money. FACT! Beechwood aging also "creates a crisper, more sparking carbonation while imparting smoothness to the characteristic taste of Budweiser." Except that is marketing CRAP. The beechwood is boiled/cleaned/sanitized beforehand, preventing it from being able to impart any flavor whatsoever. Hops are added to beer to balance the sweetness, and the beverage must contain hops to actually be classified as a beer. Crap. An unhopped beer is in fact a beer, it's just a crappy beer. Fact. Hundreds of varieties of hops exist, and just like English nerds can name all hundred and something prepositions, beer nerds can name every common variety of hops. That may be crap, but we can tell you a lot about cannabis, which is a cousin of the hop. Fact. You can smoke dried hops. Fact. But smoking hops won't get you anything but ridicule from your friends and maybe a coughing fit. Fact. The use of hops in beer dates back to 736 AD, but it was not until the 1500s before brewers started using hops in the brewing process. Historical Fact. 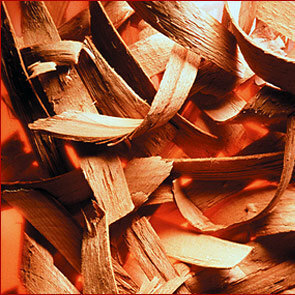 Before that, brewers used items such as soot, herbs, mushrooms, and wormwood as bittering agents and preservatives. 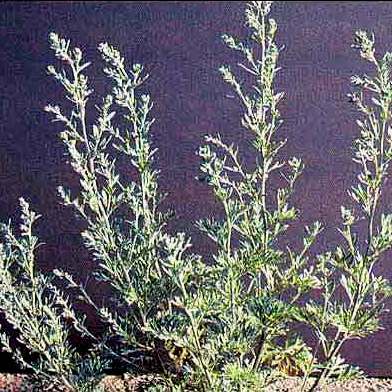 Wormwood is an herbaceous perennial plant. Wormwood is bitter. 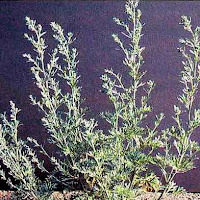 Wormwood is used in making absinthe. Van Gogh lopped off his ear while sipping on absinthe. All FACTS. 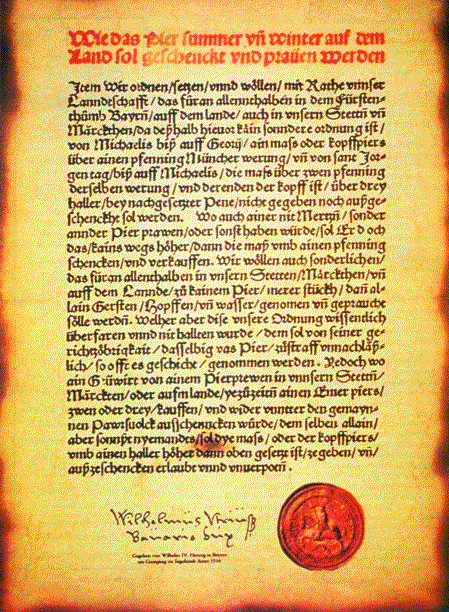 In 1516, the Germans went all "German" and passed The Reinheitsgebot (also called the German Beer Purity Law). The law stated that the only ingredients that could be used when making beer are 1) Water, 2) Barley, and 3) Hops. Another historical fact. The German lawmakers had good intentions, but those intentions were to keep all the wheat and rye from being used to make beer instead of bread. It is nearly impossible to pick bread over beer when given both options. FACT! What is Dogfish Head Brewery founder and owner Sam Calagione's opinion on The Reinheitsgebot? Total crap! I attended a discussion of historical beers he gave at SAVOR in Washington DC where he actually said "F#*k The Reinheitsgebot." His words, not mine Mom. Fact. But The Reinheitsgebot really *is* crap. Law abiding citizens can make "beer" with a variety of grains. Free folk can choose from hundreds of bitter plants to provide their beer balance (or imbalance). Beer is mostly water. Fact. And to make beer, you must boil your wort, so feel free to draw from any watering hole you want for your beer. 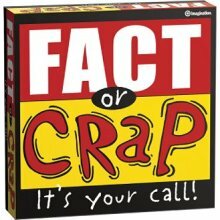 Eh, fact and crap, depending on what kind of beer you are making. Boiling the water does kill most of the bugs though. Fact. Wort is the sugary liquid that you get after mashing your grains. In other words, it is unfermented beer. Mashing grains refers to soaking your crushed gains in hot water and extracting the sweet wort. Your wort doesn't become beer until it ferments. Fact. And as it turns out, Germans, you need one more ingredient to make beer: Yeast. Fact. In the mid 1800s, when he wasn't creating the first vaccines for rabies and anthrax, Louis Pasteur discovered that microorganisms played a key role in the process of fermentation. It is pretty amazing that people had been guessing their way to fermented beverages for millenniums. Until the 1800s, wild yeasts, bacteria, and/or a little bit of the dredges of from the previous batch magically did the work. Seriously, these beverages had to taste like crap. It still took the Germans over a hundred more years to repeal The Reinheitsgebot. That is a fact… like seriously, it was just recently repealed 1988. A malt beverage is an alcoholic beverage made by brewing grains. Malt beverages can be further categorized into beers, ales, and malt liquors. A beer is defined as a malt beverage with more than a half percent of alcohol by volume (ABV), but NOT more than five percent ABV. Ales and malt liquors are malt beverages with MORE than five percent ABV. Besides the first sentence, this entire paragraph is CRAP! But this is how the Texas Alcoholic Beverage Commission regulates beer in the state. Fact!?!? The term "ale" has nothing to do with the strength of the beverage and everything to do with the type of yeast used. Ale yeast is top-fermenting, meaning the yeast rises to the surface during fermentation. 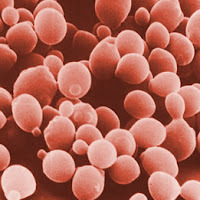 Yeasts of this type generally do their job between the temperatures of 50F and 77F, although many yeast types will not actively ferment at the low end of that spectrum. Fact. The colder the better though. Crap. Lager refers to beer fermented with yeasts that do their business in the 44F to 59F range. Fact. They work a little slower and hang out on the bottom of the fermenter. Fact. Your Millers and Budweisers are lagers. American malt liquors are lagers. Fact (despite that crap the TABC would like you to believe). Yeast, especially ale yeast, imparts more flavor than you think, and sometimes produces the most dominant flavors in your beer. Fact. A yeast starts his job by reproducing, and then he starts eating sugar. After eating he'll pass some C02 gas and crap esters and ethanol. Fact. Putting yeast in the wort is called "pitching the yeast." Fact. Oxygen ruins beer and *really* ruins fermenting beer. Fact. However, oxygen is added to the wort after it is cooled because the yeast use it to reproduce and become stronger. Fact. After the yeast starts fermenting the beer, contact with oxygen is to be avoided at all costs. Byproducts from the synthesis of yeast include green apple, bananas, strawberries, butter, butterscotch, sweet corn, cooked veggies, cloves, medicine, plastic, Band-Aids, smoke, acetone, lacquer thinner, rotten eggs, and burnt matches. FACT! For all beers I open for special occasions and all my homebrews, I keep a tasting log with notes on flavor profiles. CRAP! Pours a deep copper color with some darker highlights in the head. Light lacing. Well-balanced barnyard scent, and I also get some complex caramel and odd sweet. Excellent boozy taste, with overtones of sherry and orange. Watery mouthfeel and medium finish. Score: 3.52/5. This is by far the most education I've received on beer. Fact! Here I thought it just came out of the ground. Crap! Love the part about Bud. I seriously wonder why people drink that stuff. Fact. Myself I will drink a Miller Lite from time to time. Fact. I do it for the superior flavor. Crap. Actually, it's just close to water for session drinking (fact).